The sun is shining and the weather is sweet! The breeze is falling to a more pleasant level and the beaches invite us to enjoy a sunny day, which nostalgically reminds a summer day. Kamari beach is welcoming, relaxed and cosmopolitan. It offers many options for coffee, food and drink. 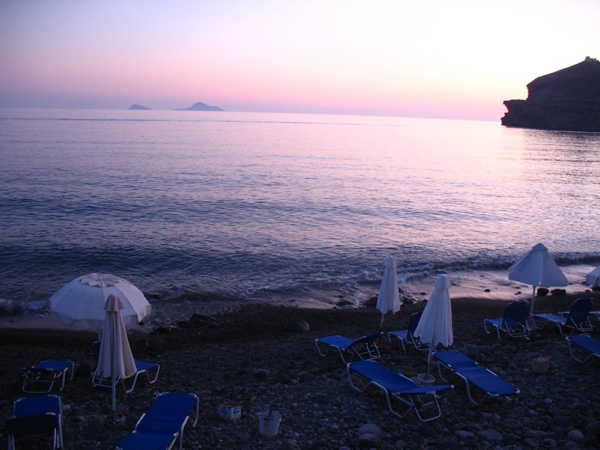 Perissa-Perivolos: The distinctive black beach is particularly preferred for swimming or just relaxing by the sea. Vlychada: The unique gulf of the beach hosts a picturesque beach bar! As you move away from the umbrellas, the people, the sun beds and the clothes of bathers’ clothes disappear!